NOW SOLD! 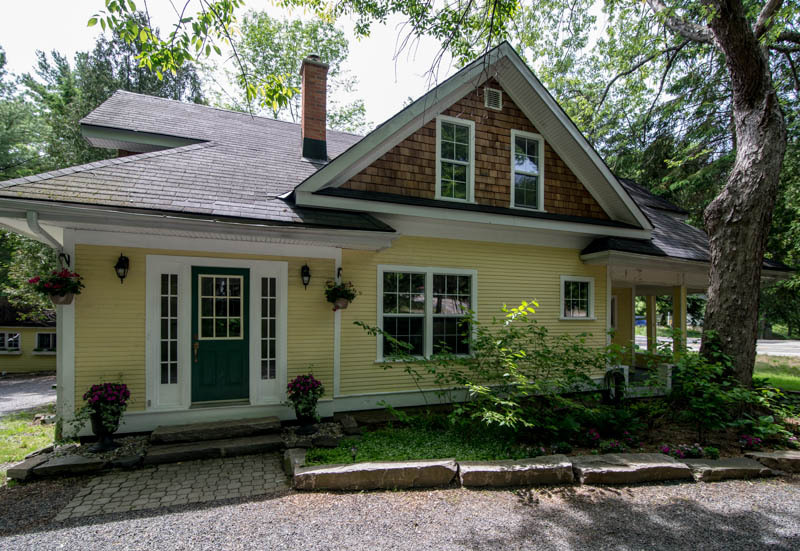 Cottage in Muskoka For Sale. Income waterfront. 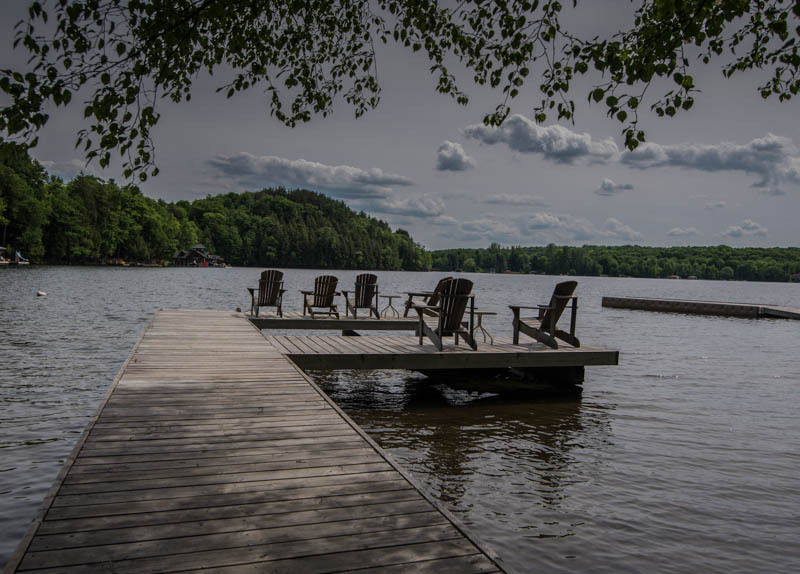 We have a waterfront listing in Port Carling – on Mirror Lake at the top of Lake Muskoka. 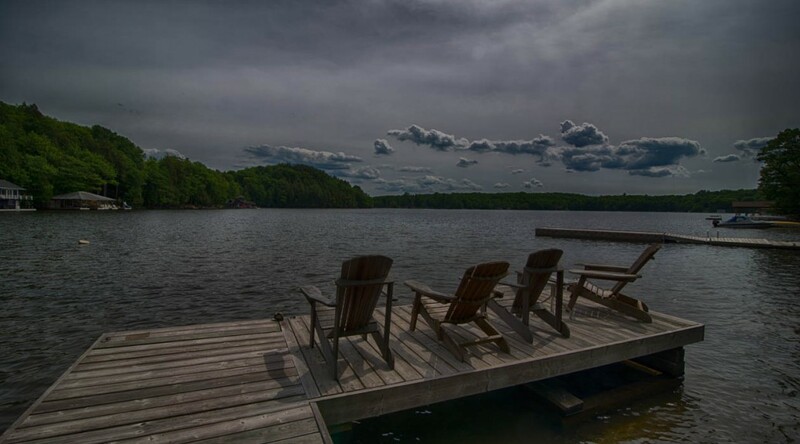 This cottage in Muskoka property comes with a 3 bedroom home, a small cottage, and a waterfront building with 3, 1 Bedroom rental units and long-term tenants. 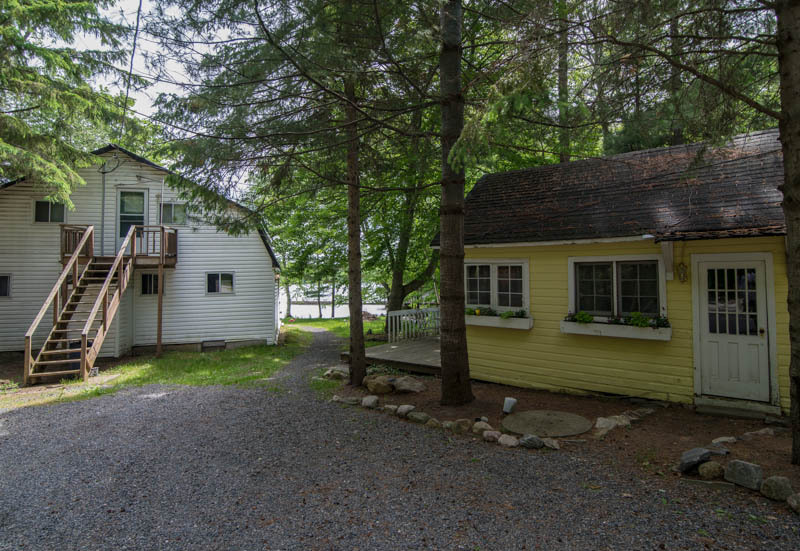 The property features a lovely historic home in downtown Port Carling, on Mirror Lake. 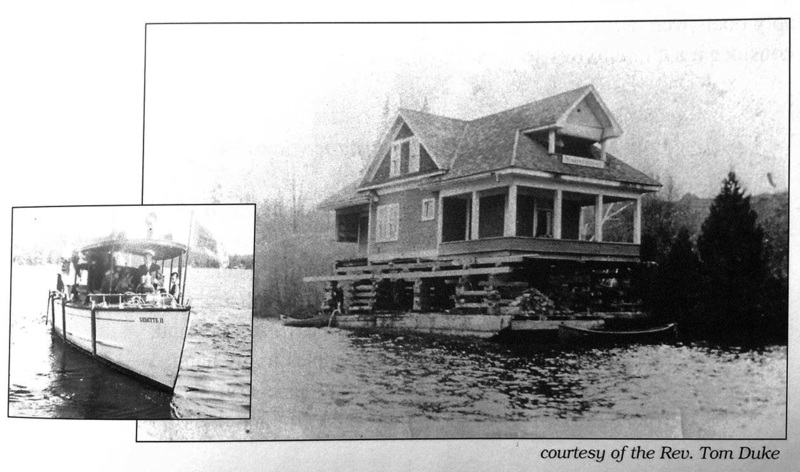 This home was built in 1916 and pulled across Mirror Lake in the winter of 1928 – well that’s the story as we heard it. But, here’s a fascinating update on the history of the house thanks to a book given to us by our friend Ian Turnbull of Port Carling. The old Heart’s Content was built around 1916 at Indian point. In early spring, around 1928 it was put onto two scows, using horses and the high water to help. Cribwork on the scows kept it level at the old elevation; the scows were borrowed from one of the lumber companies, and Alan Dixon was in charge of the operation. One scow sprang a leak, and since there was no electrical power at the point, it had to be hand pumped all night. Art Duke and others took turns keeping the pump going. The next day they set off across the river, but about halfway across Mirror Lake, the steering mechanism on the Vedette broke, and she had to be taken up to Port for repairs. The wind blew the skows and house down to Arcadia point. The center timber caught on trees along the river bank and pulled out – fortunately, the two outside timbers stayed secure and the house remained level. A second time, the men attach the scows to the Vedette, and pulled their cargo close to its new site on the eastern shore. But because the boat could not tow it from the front, the lines had to be untied while the Vedette manoeuvered to the stern to push it in. Again, the house got away, the wind blowing it ashore at Schreibers’. By the time it was securely tied at the proper place on the shore, daylight was gone. There was electricity on this side, but it was not very reliable then, so the electric pump was left running overnight. The next morning, Heart’s Content was moved ashore, and lowered – one crib timber at a time – onto its site at the bottom of Silver Creek Hill. Here it remained the home of Arthur and ‘Did’ Duke (nee Elizabeth McCulley) and their sons Thomas and Reay until 1948, when the couples retirement home was built. The sign still identifies that home, now the residence of Rev. Tom Duke and his wife Charlotte. Tom’s main memory of the house moving is the disappointment he felt that having to go to school, and missed the excitement of the move. Photo of Heart’s Content on scows with cribwork and the Vendette. Walk from the property to restaurants, shopping, locks, museum. Three bedrooms, two full baths provide plenty of room. Cottage and 3 unit apartment building. Three unit apartment at the water allows for extra income. Each unit has one bedroom, one bath. Cabin and storage shed round out the picture. Views are lovely, and this popular location just makes it all the more appealing. Let us know when you’d like to come and see it. View of docks and out into Mirror Lake. You’ll find more details in the listing here, and I just added a virtual tour below.